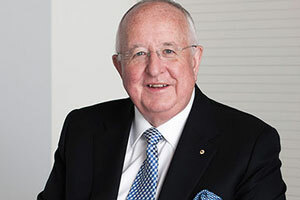 The 66 yr old Aussie boss of mega-miner Rio Tinto is being replaced 'growth oriented' Jean-Sebastien Jacques. Shareholders will be standing by for action. Walsh is to step down officially in July and in the meantime Jacques – currently head of Rio’s copper business – becomes deputy CEO, taking over as CEO on Walsh's departure. The appointment of the 44 year old Frenchman (who joined the firm from Tata Steel in 2011) is expected to herald a new era of expansionism at Rio, making a virtue out of the collapse in commodity prices by looking to acquire high quality assets from distressed sellers at knock-down prices. The strategic shift marks a further step by Rio away from its traditional investor proposition, centred around a longstanding pledge always to increase its dividend. That pledge, already effectively abandoned, has now been formally put to bed. Jacques has already proved that he can negotiate with national governments (a key skill in the lucrative but often highly-controversial mining business) not least thanks to a landmark deal with the Mongolian government to get production underway at the much-delayed giant Oyu Tolgoi copper mine in the south of the country. As CEO he will also have to demonstrate his strategic nous. Some growth at Rio – which like all miners has been whacked by falling prices and recently posted earnings down 50% year on year - would surely be welcome. Jacques (and his shareholders) will be hoping that the chilly economic climate presents them with he opportunity to bag some bargains, ready for the upturn in the commodities cycle when it comes. He will also be seeking to lay the ghost of the last Rio boss to hit the acquisition trail, Tom Albanese. Albanese’s abrupt departure in 2013 was a result of a string of bad buys at the top of the market, culminating in the massive write down of $25bn against the purchase of aluminium giant Alcan, no less than two-thirds of the total price paid. The Alcan debacle also led to the surprise appointment of Walsh – a veteran of the auto industry, opera buff and former recycling truck driver - as a safe pair of hands to stop the rot and restore some financial discipline. He also saw off a surprise merger attempt by rival Glencore. Jacques’ expected approach - buying at what he must reckon is at or near the bottom of the market - should make the prospect of Rio having to dig itself out of another similarly-deep financial hole that much less likely. Whether he will also attempt to address Rio's less than glittering environmental image remains to be seen.